Wave goodbye to your childhood. WHOA. 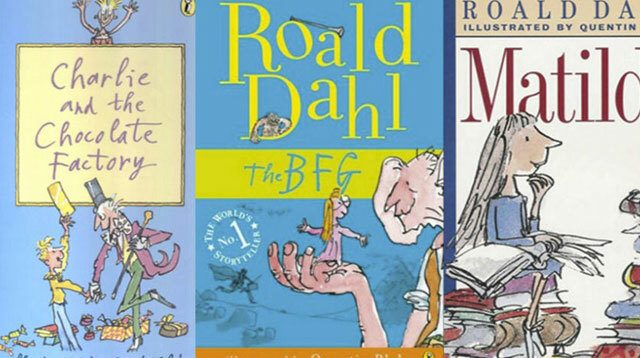 It turns out we've all been pronouncing Roald Dahl's name wrong this whole time. Does the universe want to ruin our childhood as well as our adult life? Chances are, the author of Charlie and the Chocolate Factory, The BFG, Matilda, and more played a big part in your bedtime stories when you were growing up—but because his name was always written down rather than read aloud, it was down to you to assume the pronunciation. And, er, it turns out, we've been wrong this whole time—as rather than pronouncing it like "Rolled," it's actually "Roo-all." Mind blowing stuff, huh? The discovery was made by Marie Claire after watching a clip of a 1961 episode of Dahl's spooky sci-fi show, Way Out, which introduces him at the beginning with the correct pronunciation. The name is Norwegian (his parents were from Norway and he was named after the polar-explorer Roald Amundsen), and has always been pronounced "Roo-all"—not "Rolled" like we've been saying all this time.